In this first attempt at baking since a Year 9 cooking class at high school, when I made Chelsea Buns (and a lot of smoke! ), I created the Malteser Mud Pie, a recipe I spotted on Tastemade. 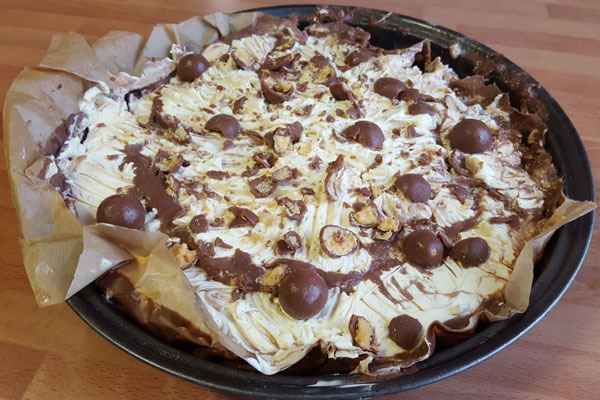 When it comes to the Malteser Mud Pie I can say, with my hand on my heart, that practice really does make perfect. Keep reading and you’ll figure out why! 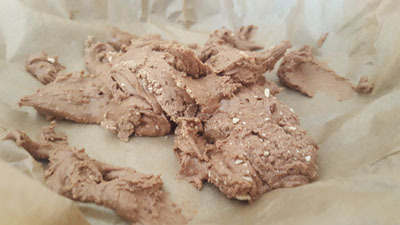 Take 200g of Maltesers and whizz them up in the food processor or blender to create a somewhat chocolatey but very much a biscuity dominated powder-like mix. Gently melt the butter in your small/medium pan. Pour your chocolatey biscuity mix and melted butter into a mixing bowl and stir into each other until all of the butter is mixed into all of the chocolatey-biscuit mix. 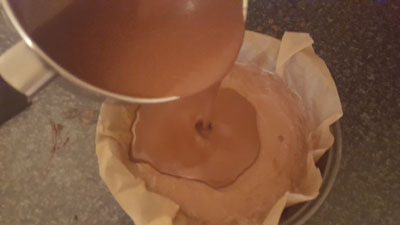 Now pour the sticky, chocolatey-biscuity mix into the cake/pie tin and spread this out to cover the bottom and sides evenly, creating a Malteser Pie case. 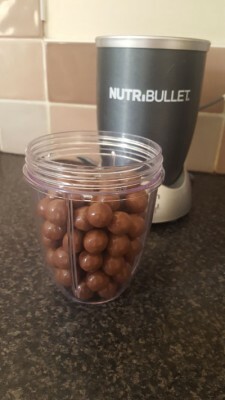 Due to the Nutri-Bullet pulverising my Maltesers to a paste-like substance, it was completely incapable of sticking to the sides of the cake tin so I had a Malteser pie case, on the bottom only. Yours should not look like this…. I repeat: DO NOT USE A NUTRI-BULLET. Leave the Malteser pie case in the fridge for 1 hour or until hardened. After 1 hour, put the small/medium pan on a medium heat, pour the milk, egg yolk and malt powder (if you managed to find it) into the pan and gently whisk until the mix is a nice thick consistency. Take the pan off the heat and stir in the chocolate until you reach a silky look and feel. It’s really important that you let the milk, egg yolk and malt powder properly thicken. I didn’t. I got nervous and I pulled it off the heat too soon, and that, my friends is where I went really wrong. Now pull the pie case out of the fridge and pour your THICK chocolatey filling into the pie case and leave it to set in the fridge over night. Pour the double cream and vanilla essence into a mixing bowl and using the electric whisk whip the ingredients into a thick white paste (think toothpaste consistency). If you don’t have an electric whisk, I would advise you turn on the radio/TV and prepare to whip the cream until you have a dead arm. Spread your whipped cream on top of the chocolate filling. Crumble half of the remaining Maltesers and sprinkle them evenly over the whipped cream. Finally throw the whole Maltesers on top. 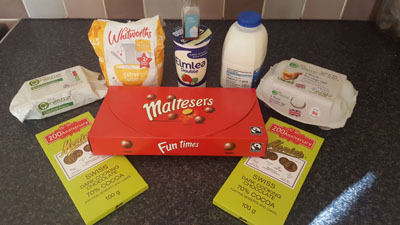 It’s time for me to bake-off but I look forward to hearing how you get on with the Malteser Mud Pie. 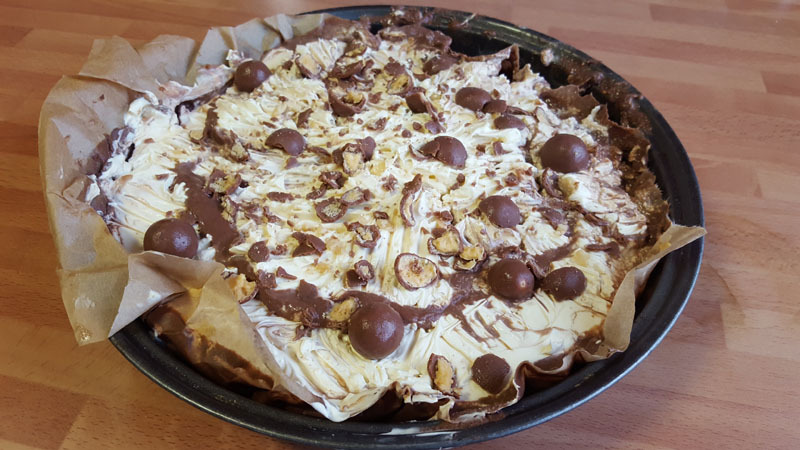 If you have similar disasters (or any kind of mishaps for that matter) please share them in the comments below or post your Malteser Mud Pie pics on Twitter using the hashtag #CapableOfEverything because if I’m capable, so are you! Baking Cakes With Vegetables In: Weird Or Wonderful?